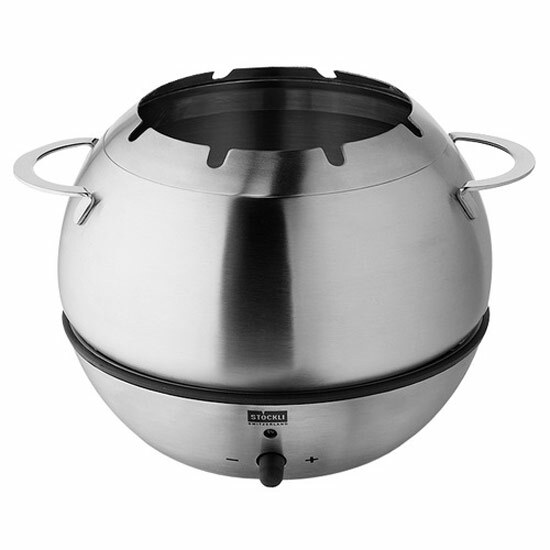 Set consisting of: fondue pot with splash of stainless steel, electric chafing dish with hotplate made of stainless diameter 19 cm, pot bottom 15.5 cm. Compact, exclusive design, in brossed stainless steel, incl. Splash guard, for up to 6 persons.